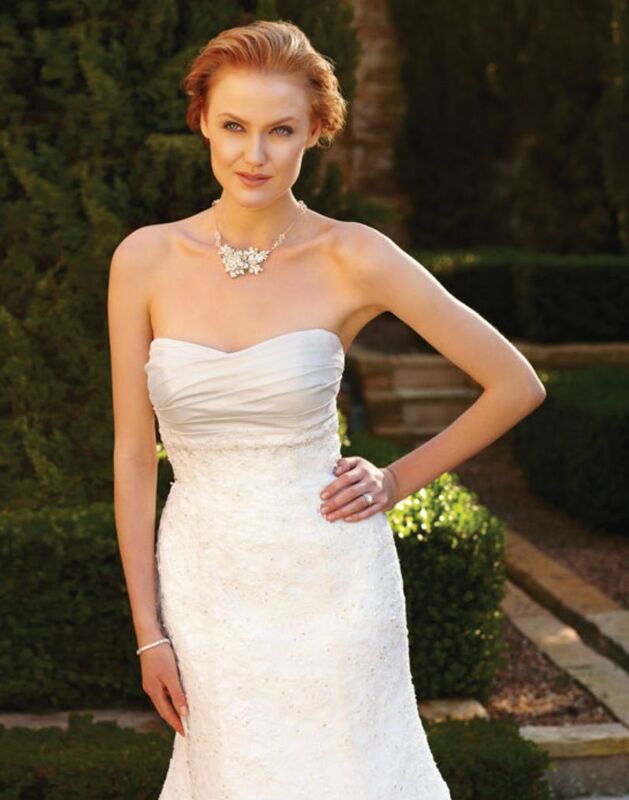 Slim A-line silhouette with French Cut-out Lace over Crystall Taffeta, accented with sequins throughout. 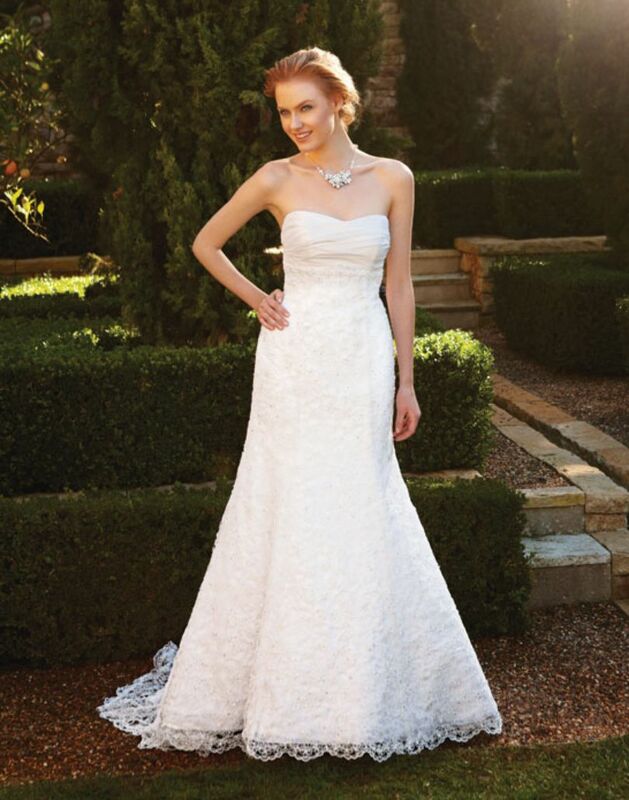 Ruched Crystal Taffeta bust and illusion lace back with taffeta band and buttons. 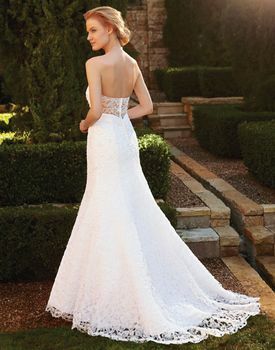 Fabric: Beaded French Cut-out Lace over Tulle, with Crystal Taffeta bust.